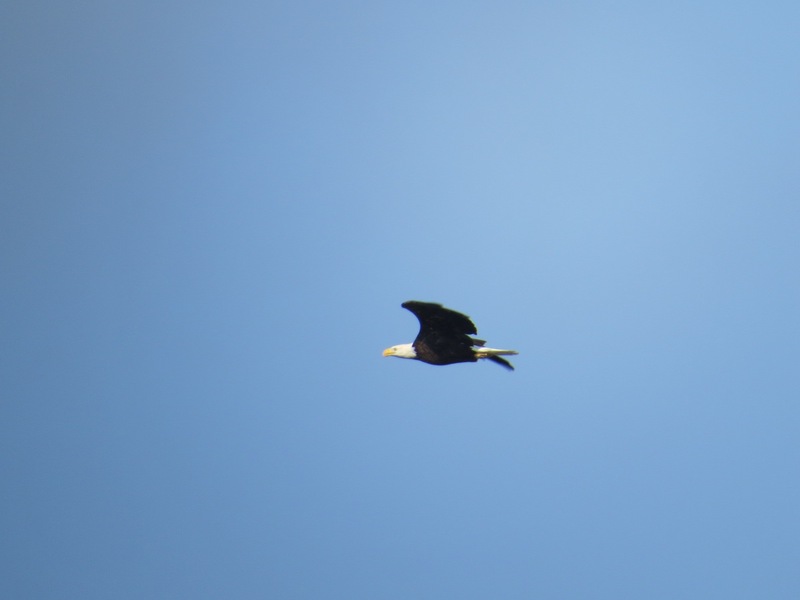 A Bald Eagle coasts across Beaverdam Park in Gloucester County, VA. We only spotted one of these enormous birds this trip; in April we had 22. But the Osprey didn’t disappoint. Counted 17 on the way back, mostly at the Frances Scott Key and Potomac Bridges. Post-breeding season, many still perch on nest sites. As of this writing for those keeping track at home, I have had 378 raptor sightings this year. Summer locally saw a marked reduction of sightings. There’s breeding, of course, when half the birds at any given time are sitting on eggs. And it’s summer, so the curtains are drawn for much of the day against the sun; the roar of the fans cancels out external noises (a Kestrel sighting, for instance, often starts with a hearing). We’re off to a major migratory choke-point soon, so I should come back with some news of exotic raptors, if not pictures.